The smoke has been lingering above Calgary since the start of this week, and Environment Canada has issued it’s fourth straight special air quality statement. As with the past few days, it is recommended to stay inside at a cool, well-ventilated building, and to consider going to a shopping centre, library, rec centre, or another air-conditioned place if your home does not have AC. While it may feel stifling to be stuck under a cloud of soot, the one redeemable factor to the haze is that it makes for some amazing photo opportunities, with the creatives around the city taking full advantage of that fact. 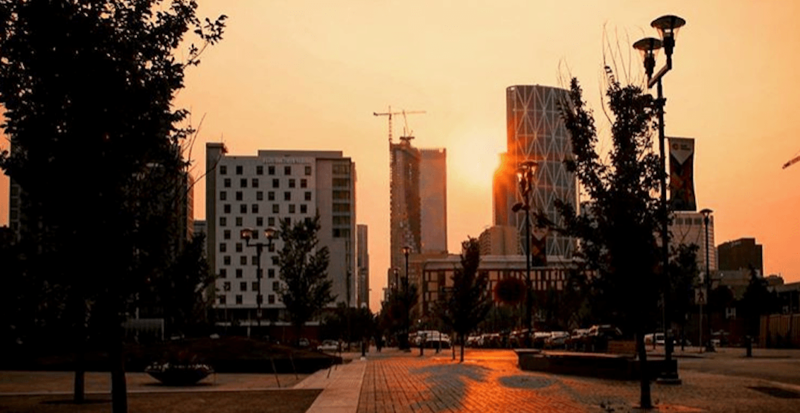 Here are just a few of the shots we uncovered showing Calgary in all its (slightly faded) glory.